Last week, I began to notice something strange on Twitter – profile avatars taking on a deep orange colour that left me bewildered. Dimly aware that if the colour were black, it would have meant someone popular had died, I decided to find answers. 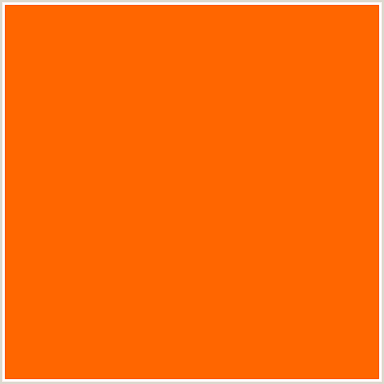 Meanwhile, Twitter inexorably began to look like a mass replication of these orange avatars, bobbing with quiet enigma. Purpose: to raise awareness on violence against women and girls around the world. Technically running with the #16DaysofActivism hashtag, which began on November 25 and which also is International Day for the Elimination of Violence against Women and Girls. Where all this orange avatar’s dey come from? GTB Don pay una? I saw the orange avatar on a lot of people profile and I didn’t know what the movement was for, so I asked @chocomocococo and she explained what it was about. Say no to domestic violence and abuse. Masculinity isn’t about being stronger than a woman. The campaign will elapse on December 10, heavy with its own significance – Human Rights Day. Commendably, Nigerians on Twitter are pulling their own weight as the omnipresence of orange avatars are making people ask questions, and ultimately getting enlightened about the essence of the campaign. But the origin of #16DaysofActivism is dark and horrifying and bone-chilling. On December 6, 1989, a 25-year-old man entered a university classroom in Montreal, Canada wherein he separated the male and female students. He wielded his gun and hunting knife and in an attempt to “fight feminism,” shot all nine women in the room. He then made his way through the university targeting women to shoot. He took the lives of fourteen women and four men and injuring a further ten women before killing himself. His suicide note blamed feminism for ruining his life. Since then, grassroots organisations and activists have established the 16 Days Campaign and utilised the initiative to put a local and international spotlight on the issue of violence against women within a political, social and domestic context. In Nigeria, gender-based violence, especially against women, is still prevalent with alarming statistics. They go largely unreported due to stigma, fear of losing the relationship, gaslighting, and a plethora of other reasons. As such, the menace of domestic violence is further emboldened. Although #I6DaysofActivism occupies a short window, awareness of domestic abuse and all forms of violence against women shouldn’t disappear into hashtag oblivion but should be kept alive. Tags: Human Rights Day, twitter.